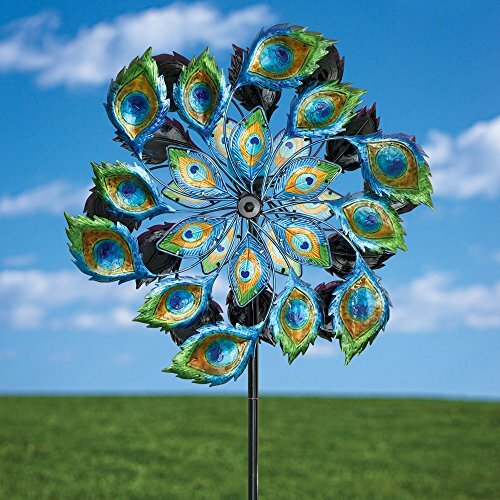 Two sided peacock spinner displays the stunning plumage of the celebrated peacock. Twelve vibrantly painted metal feathers surround the outer circumference while six translucent colored glass feathers are in the center. A blue glass solar powered globe sits in the center and charges throughout the day and turns on at dusk to emit a beautiful light show. 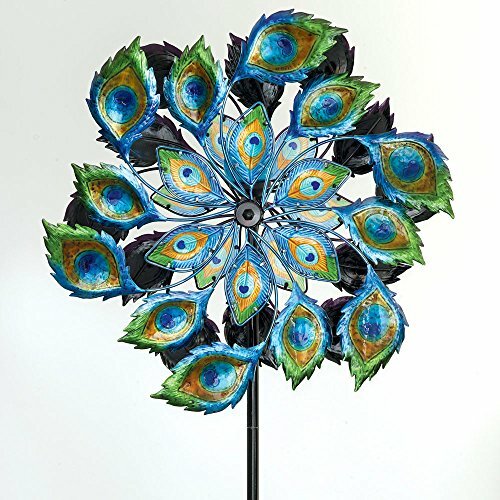 Two sided peacock spinner displays the stunning plumage of the celebrated peacock. Twelve vibrantly painted metal feathers surround the outer circumference while six translucent colored glass feathers are in the center. 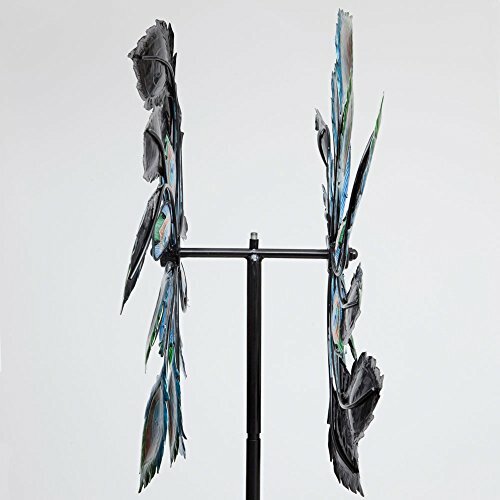 Both sides spin independently in the slightest breeze. A blue glass solar powered globe sits in the center and charges throughout the day and turns on at dusk to emit a beautiful light show. 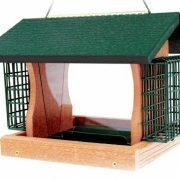 Stands 62 1⁄2″ high on a powder coated stake plus a 10″ fork to secure into the ground. Peacock spinner is a generous 24 1⁄2″ in diameter. A one-of-a-kind garden statement or gift. Some assembly required. Stands 62 1⁄2″ high on a powder coated stake plus a 10″ fork to secure into the ground. Peacock spinner is a generous 24 1⁄2″ in diameter. 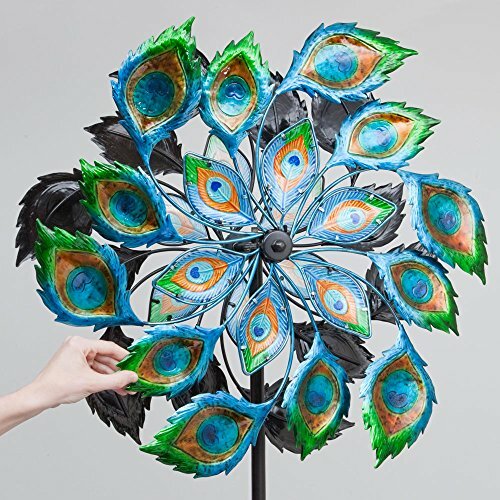 Peacock spinner is a generous 2′ in diameter.